Former Chelsea midfielder Oscar may look like an angel but his behaviour was far from angelic earlier today as he played his part in one of the ugliest games in Chinese Super League history. Six yellow cards and two reds were dished out as Oscar’s Shanghai SIPG side literally battled their way to a 1-1 draw at Guangzhou R&F. Oscar was not one of the players booked, but he was heavily involved in the chaos, sparking a mass brawl after powerfully kicking the ball at two opponents within the space of as many seconds. 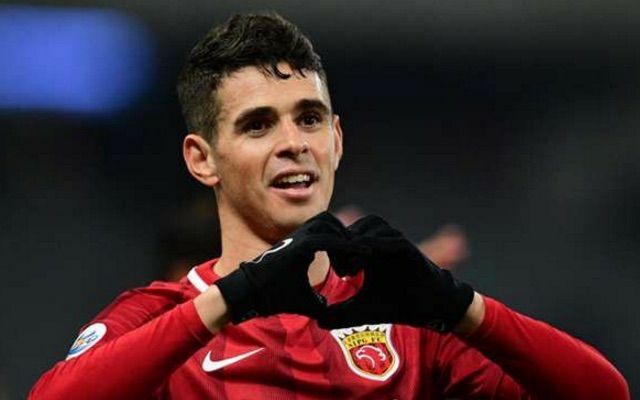 Ex-CFC star Oscar may look like a nice boy but he ain’t making many friends in China?? Was this deliberate on Oscar’s behalf? The Guangzhou players certainly thought so, judging by their furious reactions.